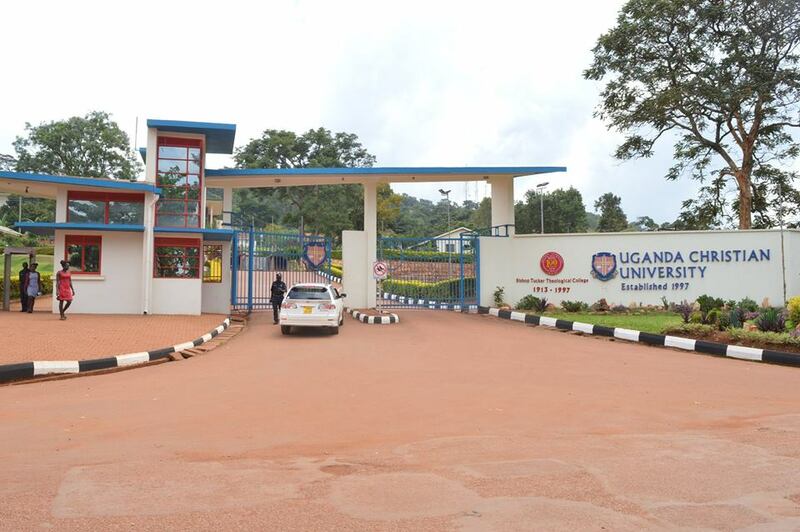 Uganda Christian University has held this year’s presidential debate this afternoon. The intense event was held in the university’s Nkoyoyo hall which was filled to capacity by chanting supporters. The aspirants Phillip Joshua Wanambwa, Charlotte Mbabazi and Bruce Amanya stressed issues in their manifestos while responding to a tough panel of two judges headed by Allan David Emolota the former Vice president of the guild. Candidates were gauged on matters of university policy and security, international and national affairs and their ability to respond and articulate issues affecting the general student’s welfare. As though that was not enough when asked who the current president of AU is, Charlotte wowed the revealers by responding Ruhakana Rugunda. As the atmosphere got heated, security personnel were deployed to stop interference of the audience to candidate’s discussions. Candidates were forced to switch positions as a general claim arose that Bruce who sat next to his die hard supporters was being advised on what to answer. Presidential aspirants were given the opportunity to ask each other a question. While Wanambwa chose not to ask any questions to his colleagues, Amanya opted to ask Charlotte how she was. The audience also had the opportunity to fire questions at the candidates. When Wanambwa a second year law student and the least vocal of the three was asked how he would represent student without being vocal, he reluctantly replied that all candidates have their different competences. As Amanya fronts advocacy and dialogue, Wanambwa emphasizes partnerships to raise funds for needy students. Charlotte on the other hand accentuates the necessity to prioritize the general needs of students. Little has been said to explain the indifference by students which has led to their reduced involvement in the campaign but despite all this the race remains tight with elections scheduled for the November 2.